Nike Sub 2 Marathon 2017: Top 3 marathon racers of the world will try to run and break the record of sub-2 hour marathon on May 6, Saturday morning. Here, we have everything important regarding the event sponsored by Nike. 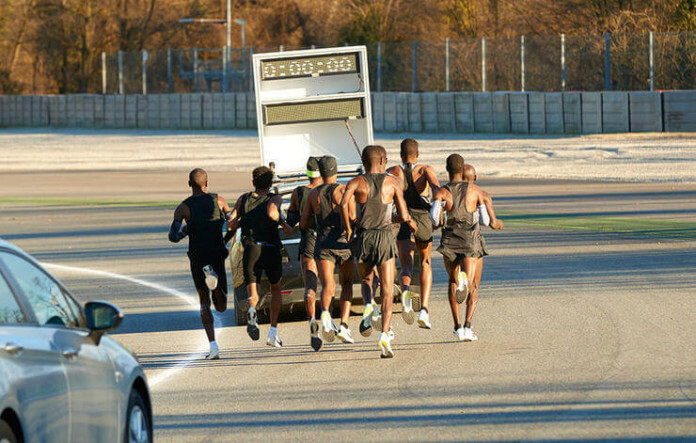 What: Olympic marathon champion racer Eliud Kipchoge, two-time Boston winner Lelisa Desisa, and half marathon world record holder Zersenay Tadese have accepted the challenge to try and break the current world record of 2:02:57. If they are to break it, then they will need to improve the record by 2.5%. The figure is a huge difference in terms of world class level. Check: Kentucy Derby 2017 Live Stream. When: The breaking 2 marathon start time is 5:45 am CEST, Saturday. The time will depend on your local time zone. In the US, it kicks off at 11:45 pm ET on Friday. Check: Kentucky Derby 2017 Odds. Where: The race will take place at the Formula One racetrack in Monza, Italy. The runners are expected to run about 17.5 laps of the 2.4-kilometer track. The live streaming of the event will be available at runnersworld.com/live. The telecast starts 15 minutes prior to the actual start of the race. The live coverage will have commentary from marathon world record holder Paula Redcliffe and veteran broadcaster Craig Masback who had been an elite miler, and former CEO of USA Track & Field who is currently working for Nike. Stay tuned to The ReporterTimes.com for latest racing news and other sports developments around the world. Would they be able to break the Sub-2 hour record? What do you have to say?